We've been talking about the concept of smart contact lenses - specifically glucose tracking ones - since Google (now Alphabet of course) declared back in 2014 it was working on health tracking from the eye. Now researchers from South Korea believe they have come up with a solution for diabetics that can continuously monitor sugar levels and will raise the alarm when they are too high. Jihun Park and his team of researchers from the Ulsan National Institute of Science and Technology (UNIST) and Sungkyunkwan University have been working on a smart lens that contains components including a stretchable antenna, a glucose sensor and an LED display. This is key here to ensure that the device is truly wearable and can be worn comfortably. The glucose sensor can apparently detect sugar levels through tears. The real time data is tied to the tiny LED display that will remain lit if glucose levels are normal or shut off when there's something not quite right. In terms of testing, Park and his team have tried out the wearable on live rabbits with no animal showing signs of discomfort. So when will humans get to try it out? Park believes that these smart contact lenses could be commercially available in less than five years time. Uses could potentially go beyond glucose monitoring and could well be used as an alternative method to deliver medicine. However, tear glucose levels tend to vary compared to glucose levels in the blood, so based on research to date this method is not a perfect indicator, and more work will need to be done to find a reliable correlation. As far as progress with other glucose detecting smart lenses solutions, Google and drug maker Novartis were expected to start human tests with its glucose tracking lens in 2017, but we've heard little details about that. 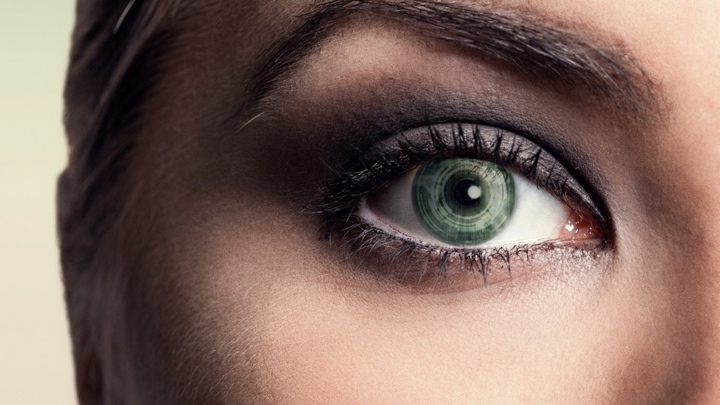 Swiss startup Sensimed appears to be making the biggest progress on the smart contact lens front having been given the thumbs up by the FDA (US Food and Drugs Administration) to start producing its connected contact lens that is designed to tackle glaucoma. Patents from both Samsung and Sony have surfaced over the last year or so suggesting the big tech names are looking at the idea as well so perhaps we're not that far away from smart contact lenses for the masses becoming a reality.